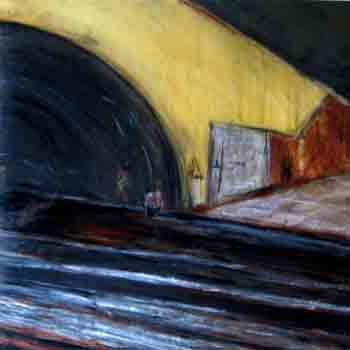 Le tunnel (28x 28inches) follows on my theme of the metro. The platform is empty, the train just passed, away through the dark tunnel to the next station. Here acrylics were used on mylar, with oil sticks for the highlights.